Windows Store Outlook is now pre-installed on most Laptops. CompanionLink for Outlook can synchronize Outlook with Android and iPhone Contacts and Calendar. PORTLAND, OR, US, February 22, 2019 /EINPresswire.com/ — CompanionLink Software has released an update to CompanionLink for Outlook to provide full compatibility to the Windows Store version of Office 365 Outlook. 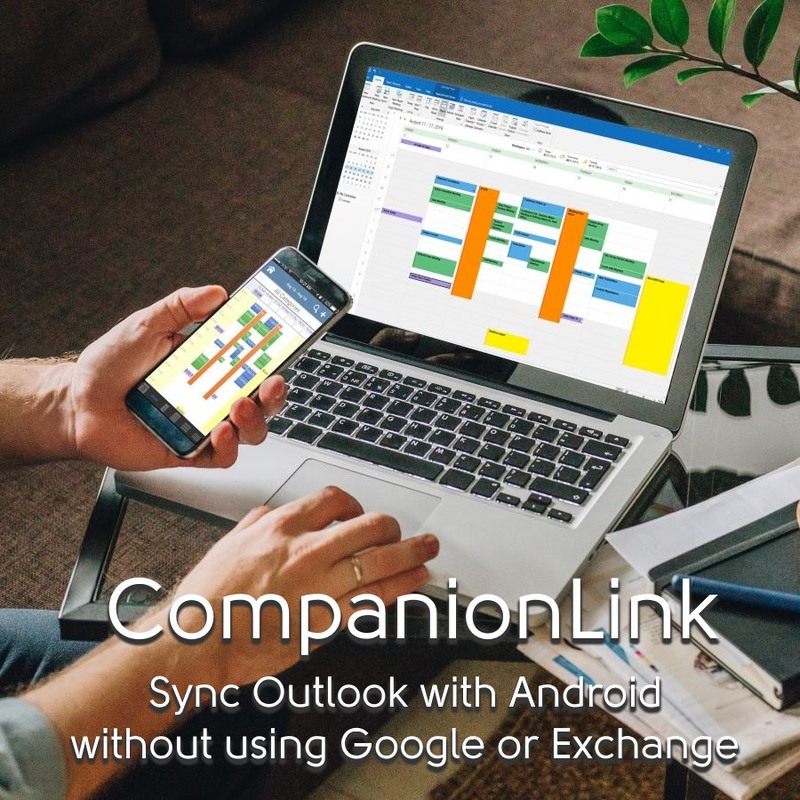 This update makes CompanionLink the only vendor of Android Outlook Sync that supports Windows Store Outlook. CompanionLink customers will run smoothly with the UWP version of Office. Competing sync vendors require their customers to convert to the ISO version of Office. For people who buy a new laptop, this process requires obtaining a download file and license key from the laptop vendor, and engaging a cumbersome process of uninstalling and reinstalling the Office 365 software. CompanionLink for Outlook provides Outlook Android Sync and Outlook iPhone Sync for Contacts, Calendar, Tasks and Notes from any Outlook version, including Outlook IMAP and POP3 folders, iCloud folders, and Outlook 2010. CompanionLink uses the DejaOffice CRM App on the phone to store the Outlook Data. DejaOffice has a direct-sync mode to send data to the native Android and iPhone Contact and Calendar Apps. DejaOffice supports calendar colors and push updates for faster sync. CompanionLink for Outlook cost is $49.95 for a perpetual license that allows you to install on up to three computers; work, home and laptop. CompanionLink is based in the US and provides free telephone technical support for its products. See https://www.companionlink.com for more details.